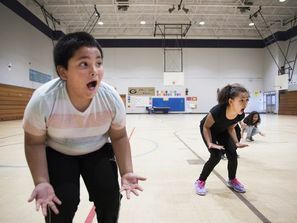 Dancers, ages 4-84 from all walks of life, all abilities, and all socio-economic backgrounds came together to learn Michael Jackson's Thriller Dance. 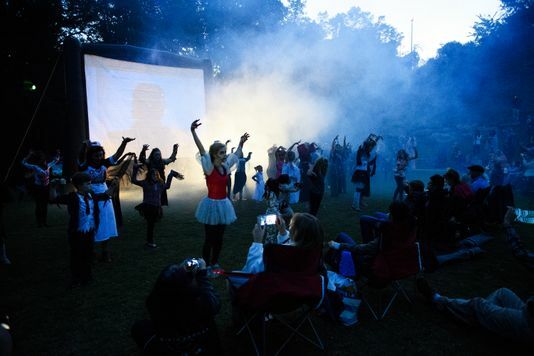 It was performed in Falls Park during the Moonlight Movie Event with the City of Greenville. Read about it more HERE to read the online article in Greenville News. 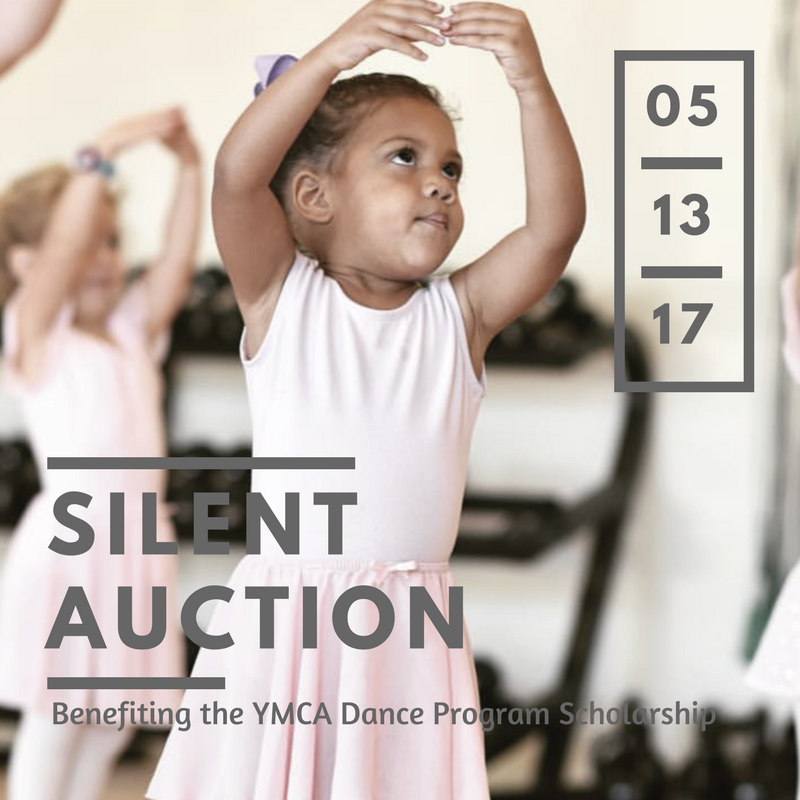 Carolina Dance Collaborative and ICAC are hosting a silent auction on Saturday, May 13th at the Salvation Army Kroc Center in conjunction with the YMCA Dance Program Performance. ALL PROCEEDS BENEFIT THE YMCA DANCE SCHOLARSHIP PROGRAM. 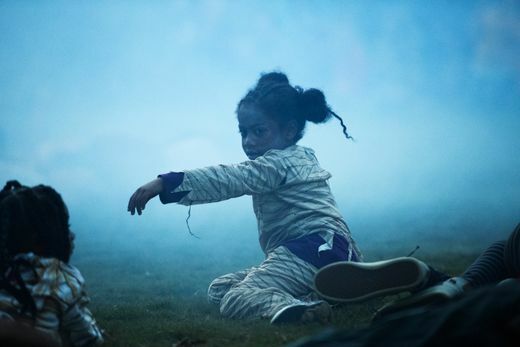 These scholarships are given to under-resourced children to experience the life changing power of dance. Click Here to see items you can bid on this Saturday, 5/20. We are also having an online auction for some of our BIG TICKETED ITEMS which includes memberships to the YMCA, Kroc Center, Round of Golf for 4 at Oyster Reef Golf Club in HHI, an AMAZING vacation for 4 at Haig Point in Daufuskie Island, 2 Clemson Championship signed footballs by coach Dabo Swinney, and a full bred 4 month old registered Shih Tzu. For more information about each item and to place your bid visit: www.32auctions.com/cdcandicac. Bidding closes on May 20th. Pass around and get excited to raise some money for CDC's YMCA Dance scholarship program. 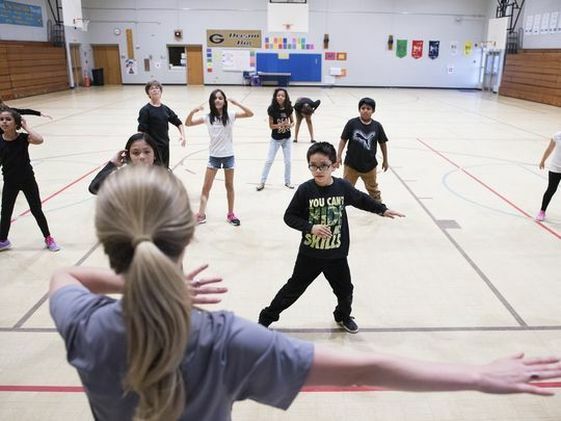 ​CDC was apart of a larger story in the Greenville News. 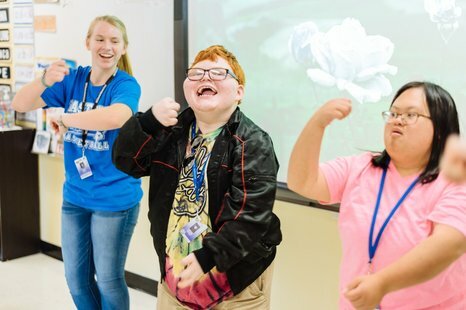 The article is a clear example of how funding from the National Endowment for the Arts (NEA), SC Arts Commission, and the 21st Century Learning Grant is crucial for art programs in and around our community. Click HERE to watch the short clip that goes along with the article. 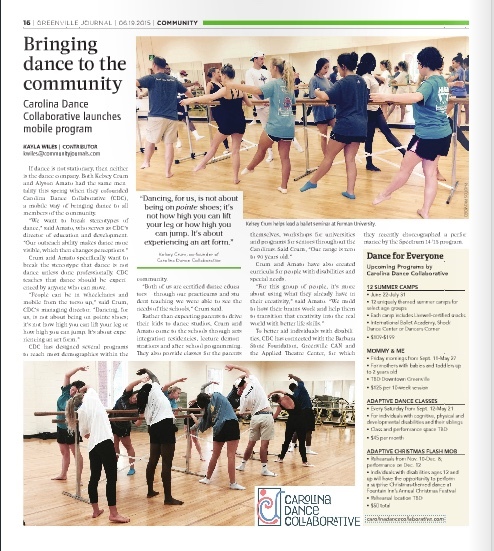 ​CDC made the front cover of the November 18th Greenville Journal. 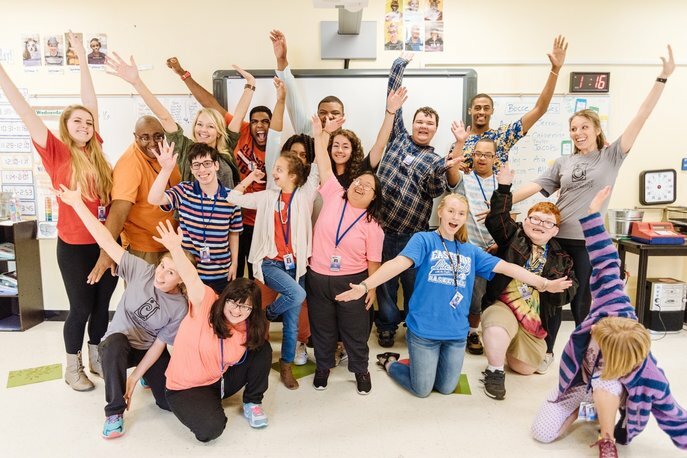 We were able to show the Upstate the new and exciting project we started with Greenville County High Schools and their Special Education Classrooms. ICAC, in partnership with CDC, is hosting a silent auction at the YMCA Dance Program Performance at St. Joseph's Catholic School on May 14th at 3pm. 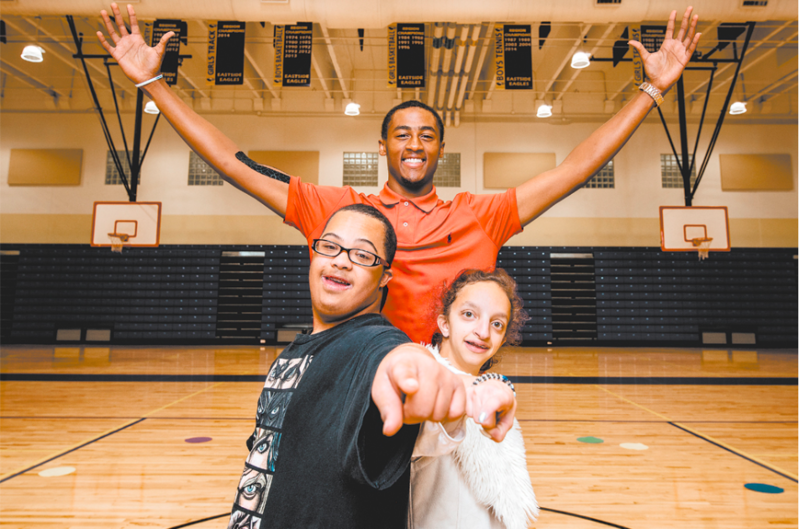 We have a variety of businesses in the Upstate who has graciously donated in order to raise support for our scholarship program with the YMCA. Click on the link to the left to see the donated items in our Digital Brochure in order to make purchases on 5/15. Look for us in Greer Today! 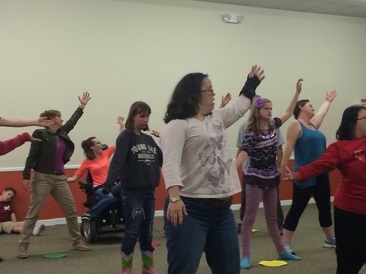 Read the full article about our disability and special needs programs in the community! 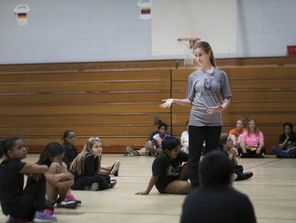 CDC partnered with Furman University to bring the 'Sociology of Dance' Workshop to students in MayX. 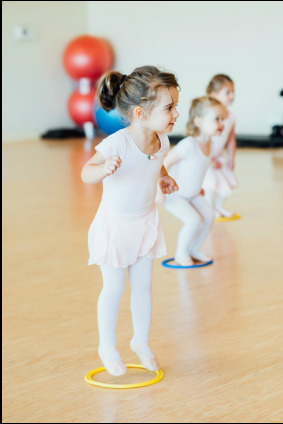 We gave them an example ballet class and discussed how gender roles play into the world of ballet. 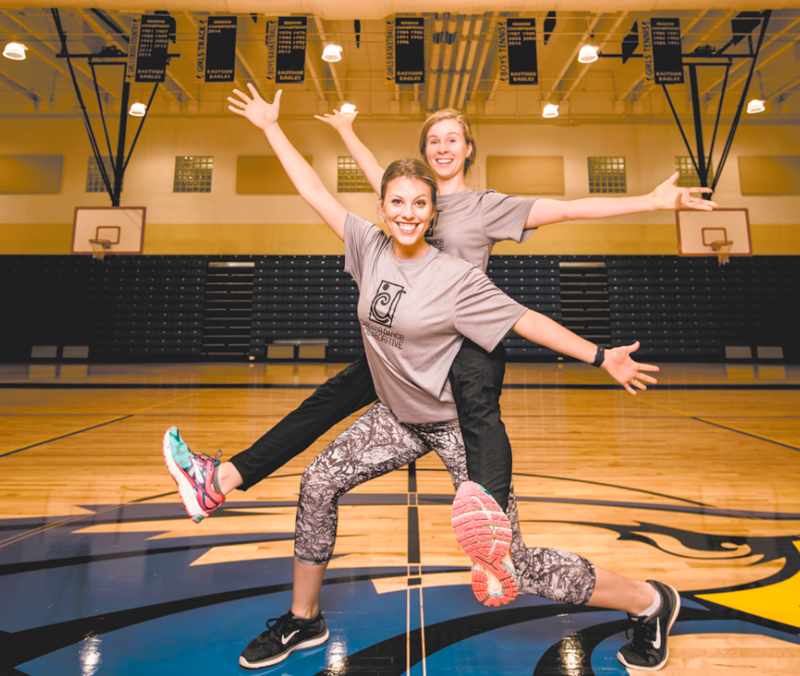 Greenville Journal also covered the ground breaking start of CDC back in June of 2015. Watch us on the morning news as we talk about our company and the services we provide in the community.